Zahira College wins Kotmale under 19 Schools Football Championship for the second time. Zahira College crowned as the champions for the second time in history of Kotmale under 19 Schools Football Championship. 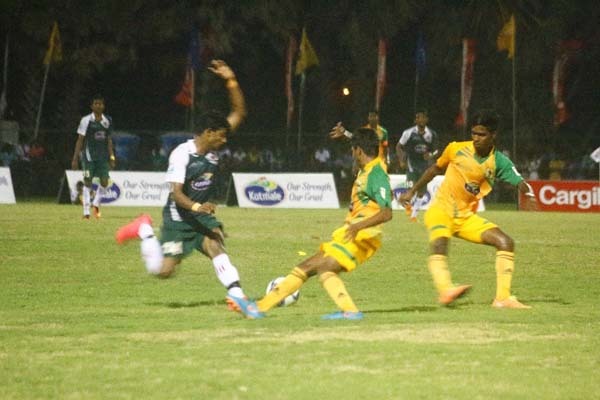 Zahira College defeated St. Patrick’s College by 3-0. M. Shaffran scored the first goal for Zahira College on the 35th minute and the other two goals were scored by M. Saheel on the 51st and 80th minutes in to the game. M.A. Saheel and Kaleel Rahman of Zahira College awarded as Man of the match and Best Goal Keeper in the Final match. St. Henry’s, last years’ Champions became Second Runners Up in this year tournament defeating St. Joseph Vaz College by 3-0. Goals were scored by S. Rubanraj in 22nd minute, G. Antonyraj on 54th minute and N.A. Ramesh scored the 3rd goal on the 79th minute for St. Henry’s College. Both matches were played on 05th November 2016 at Durayappah Ground in Jaffna.